Reel Asian co-presents THE GRANDMOTHER’S HOUSE AWAY FROM HOME at imagineNATIVE on October 19! Reel Asian is proud to co-present The Grandmother’s House Away from Home at the imagineNATIVE Film + Media Arts Festival this fall. 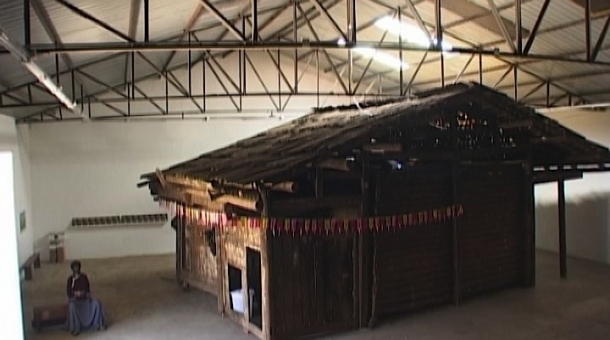 In matriarchal Mosuo society, the grandmother’s house, or Yimi as it is traditionally named, is the spiritual heart of the family. But for young Erche Pinchu, his grandmother’s house represents an opportunity to earn some money the good old modern way. Unabashedly ignoring his community’s wishes, Pichu decides to make history by becoming the first Mosuo person to ever sell a Yimi. He watches the deconstruction of his home by wealthy foreigners and joins the journey as it is transported to Beijing, where it will become the focus of an art exhibit. His elders warn that a dangerous precedent has been set now that a monetary price has been put on the invaluable Yimi, but Pinchu argues his is a necessary step towards promoting Mosuo culture. With the fate of an entire community hanging in the balance, Pinchu finds himself at the heart of an ethical debate in this astonishing and thought-provoking glimpse into the devastating effects of globalization upon traditional culture. imagineNATIVE will be taking place October 17-21, 2012. Check out their entire programming here.